How often do unusual lobsters turn up in local traps? More frequently than you might think, as it turns out. Several rare crustaceans have been caught in New England in recent years. Here’s a look at some of them, along with the odds of each being caught, according to the Lobster Institute at the University of Maine. August 2014: A 14-year-old lobsterwoman found a striking blue crustacean while at her summer job with Miss Meghan’s Lobster Catch in Maine. Scientists say it could be a 1 in 2 million specimen. 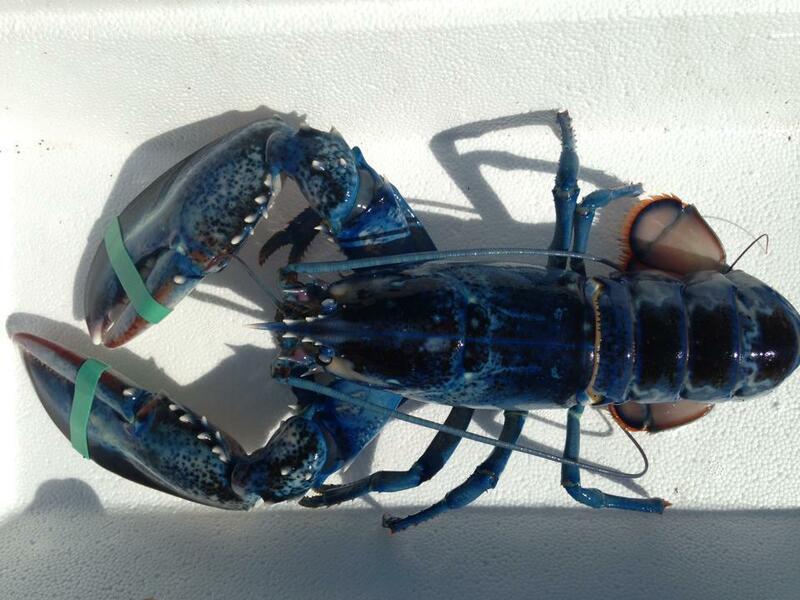 Meghan LaPlante said at the time that she planned donate her rare blue lobster to the Maine State Aquarium. August 2014: The New England aquarium announced that it had taken in a yellow-orange arthropod. The yellow lobster weighs 1½ pounds, and was pulled from a trap by Billy and Cheryl Souza of North Truro, the aquarium said. The pair found the unusual crustacean earlier this month, but left it in a secure trap for a few days so its eggs could disperse. The yellow-orange lobster appears at a frequency of close to one in 30 million. 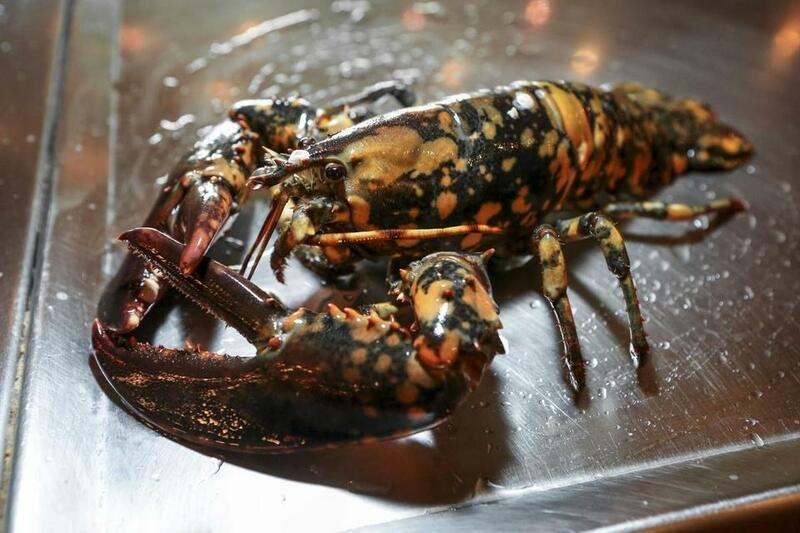 May 2012: A rare calico lobster, known for its marbled color pattern, was found in the 1,200-gallon lobster tank in Jasper White’s Summer Shack Cambridge restaurant. The crustacean, dubbed Calvin, was caught in Winter Harbor, Maine, and eventually made its way to a research center in Rhode Island. The odds of finding such a specimen are around 1 in 30 million. 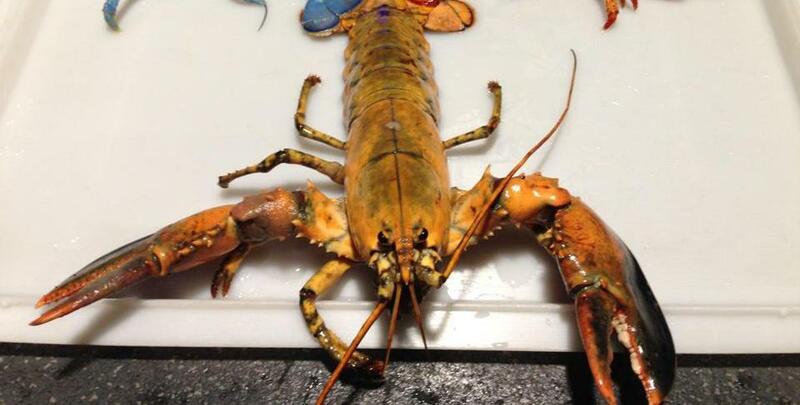 July 2015: An orange-brown lobster arrived at Pine Point Fisherman’s Co-Op in Scarborough. It is not yet known who caught it. 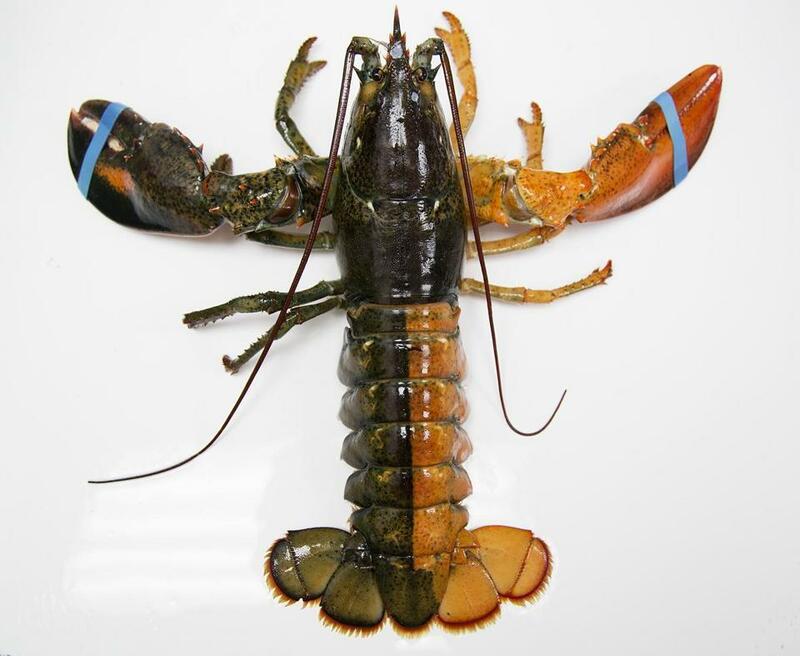 According to research by the Lobster Institute, the chance of finding a split-colored lobster is one in 50 million. 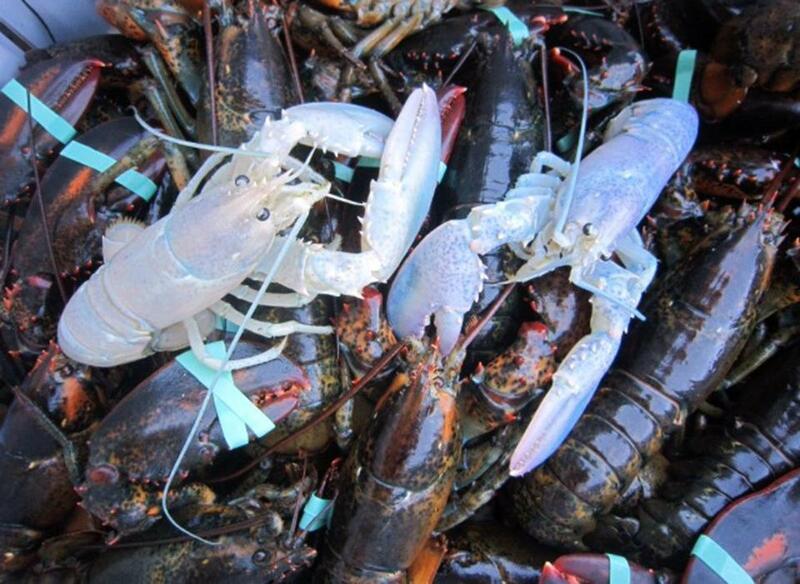 September 2014: Two midcoast Maine lobstermen caught two rare albino lobsters within a week. The chances of finding Albino lobsters are believed to be about 1 in 100 million. The lobsters were under legal size and would normally have to be returned to the ocean, but the Maine Marine Patrol made an exception. Material from the Associated Press was used in this report. Christina Prignano of the Globe staff contributed to this report.